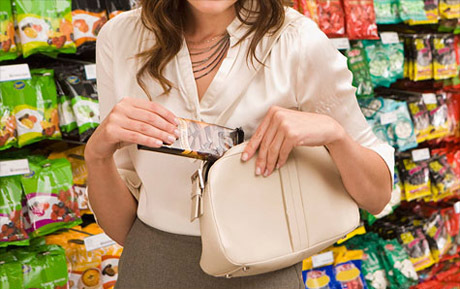 Theft under $100 is by far the most common property crime. Each year there are thousands of criminal citations, summons, and even arrests for this offense. It’s true that it is the least serious theft crime, as the maximum penalty is capped at 90 days in jail. But this type of charge must not be taken lightly! In fact, the relatively low maximum penalty is exactly the reason why this charge is so frequently abused by police and loss prevention officers. Police officers have to do next to no work to write a criminal citation for theft less than 100 dollars. In most cases they don’t even type up a police report. We have seen dozens of cases where the cops simply show up and talk to a store employee or other alleged victim for a matter of minutes before deciding to charge the defendant. The criminal citation system was put in place in order to ease the burden on city and county jails, and many defendants that once would have been arrested and booked can now receive a ticket and be on their way. On the other hand, the unfortunate consequence is that more people end up being charged with crimes. Where an officer once would have thought twice about spending two hours or more arresting and transporting a suspect to jail, now they simply write a citation and move on to the next call. There are a variety of ways to properly defend a theft case, and the first thing that our experienced criminal lawyers do is to try to get the case dropped before anyone ever steps foot in court. We will speak with the state’s attorneys as soon as we are hired, with the ultimate goal of convincing them that they simply will not be able to prove their case at trial. No lawyer should ever guarantee they would produce a specific outcome, as this is unethical and just plain dishonest. But Benjamin Herbst will do everything in his power to achieve a nolle pros or a dismissal. The firm’s two main goals are to avoid convictions and jail time at all costs. While a dismissal is the best possible way to accomplish these goals, there are other positive outcomes in criminal cases. Having the state agree to place the case on the STET docket is one example. Typically in this scenario the case will be closed and placed on the inactive docket, but can be brought back for a dismissal if the defendant satisfies a certain condition. In theft cases this condition is typically paying restitution. We also understand that many defendants are wrongly charged with theft, and therefore we prepare every case for trial. Benjamin never convinces his clients to plea guilty to crimes they didn’t commit; the extra work that trial entails is never a concern. He will happily fight for your rights or for a loved one at trial, and enjoys taking on the state’s witnesses in order to protect his client’s rights. The Herbst Firm is available 24 hours a day, and we offer free consultations for all criminal cases. The firm also offers flexible payment plans so none of our potential clients have to wait to hire an attorney.